Ron Dennis admits he is impressed by the performance of the new Honda engine, but concedes reliability will be their biggest challenge. After a separation of more than two decades, McLaren and Honda will renew their relationship from the 2015 campaign with the Japanese manufacturer looking to compete with the likes of Mercedes, Ferrari and Renault. Although they have been working on their V6 turbo hybrid power unit for two years already, it won’t be easy with McLaren CEO Dennis warning that reliability will be key to their ability to compete next year. Honda motorsport boss Yasuhisa Arai, though, is confident in the package they have produced. Dennis is also very impressed with the effort that Honda and its employees have put in. “You see the commitment and sharpness that these group of engineers have and the facilities,” he said. 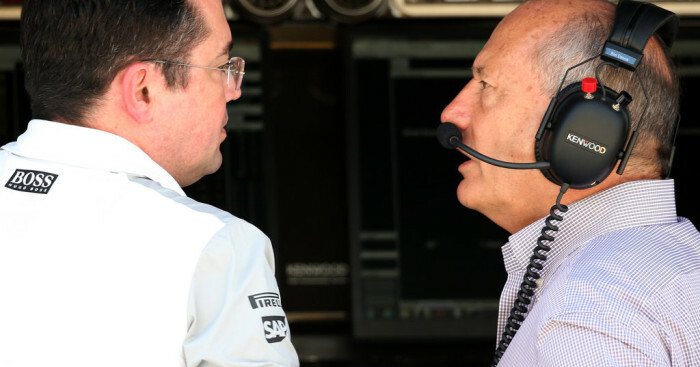 “For example they have a very impressive mission control facility – we have one here [at McLaren] where your technical staff and back-up staff, sit, watch and participate in every aspect of the race wherever it is taking place in the world – but of course with Japan the time change is significant with most of the races.